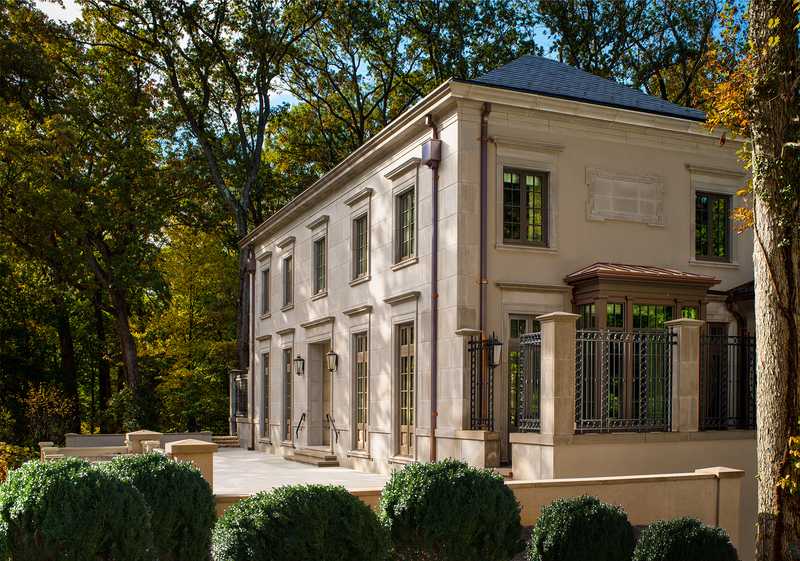 Carefully navigating among a steep slope and a tree protected area, Horizon constructed this residence in the Forest Hills neighborhood using a uniformly grey limestone façade, floor to ceiling windows and sturdy foundation. 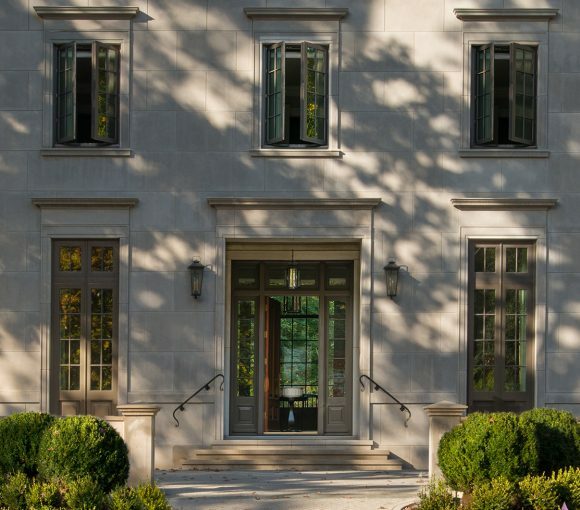 While this home faced many structural challenges and Park Service requirements, Horizon built the entire foundation to accommodate continued growth of several large trees. It couldn’t have been successful without the coordination between our team, arborist, architect, structural engineer and Park Service. We successfully followed Park Service guidelines with the home's new foundation. A level was added for a climate-controlled wine cellar. In addition to the monochromatic exterior, this residence boasts a large open kitchen with ample storage space. This includes a hidden cooking oil storage area behind the range to take advantage of any unused space, allowing the homeowners to easily entertain their guests in living spaces or on the large terrace off the main level. The grand features don’t stop there. 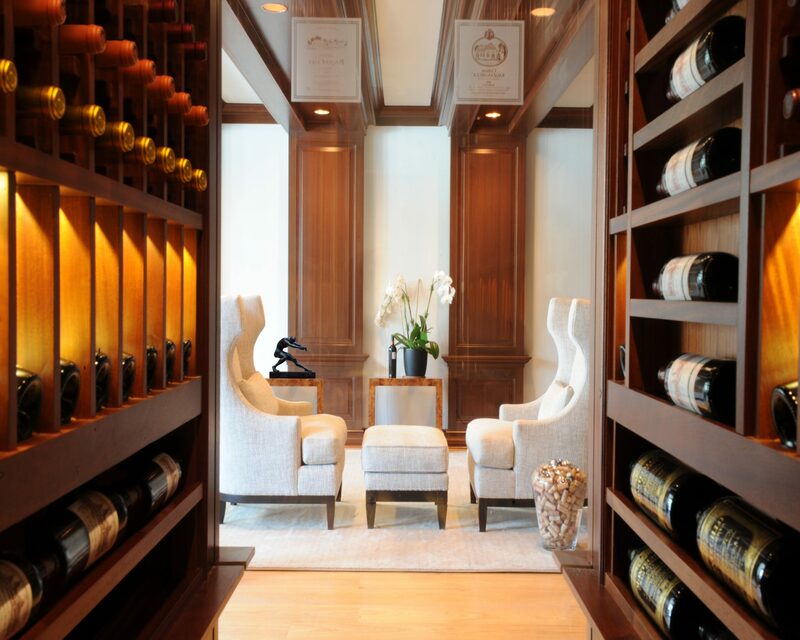 A level was added to store the owner’s 10,000 bottle wine collection in a climate-controlled cellar, decorated in tasteful mahogany and glassed partitions. The homeowners are thrilled with their 5-bedroom home and are proud to show off its features to our prospective clients.